KUALA LUMPUR (May 12): RHB Capital Bhd (RHBCap) said the Securities and Exchange Commission of Cambodia and the National Bank of Cambodia have given the nod to the group to acquire the entire equity interest in RHB OSK Indochina Securities Ltd (RHBISL) from RHB Indochina Bank Ltd (RHBIBL) for US$12.5 million, as part of its internal reorganisation exercise. In a filing with Bursa Malaysia today, RHBCap (fundamental: 1.5; valuation: 2.1) said the Securities and Exchange Commission of Cambodia had granted its approval in principle on the acquisition vide its letter dated March 2, 2015. The National Bank of Cambodia, meanwhile, had granted its approval on the acquisition vide its letter dated May 8, 2015. "Upon completion of the acquisition, RHBISL will become a wholly-owned subsidiary of RHB Investment Bank Bhd (RHB IB), which in turn is a wholly-owned subsidiary of RHBCap. 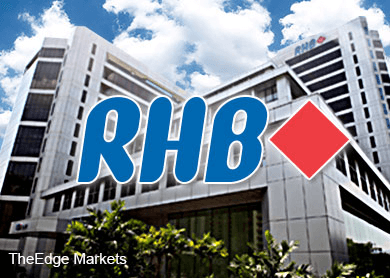 On Oct 2, 2014, RHBCap had announced that RHB IB signed a share sale agreement with RHBIBL, a wholly-owned subsidiary of RHB Bank Bhd, which in turn is a wholly-owned subsidiary of RHBCap, for the proposed acquisition. Approvals from Bank Negara Malaysia and the Securities Commission were obtained on June 25, 2014 and July 1, 2014 respectively. The proposed acquisition was initially slated to be completed by the first quarter of this year. RHBCap shares closed down 0.89% at RM7.76 today, bringing a market capitalisation of RM20.09 billion.